We are appealing to all responsible people who enjoy sky lanterns to send a letter to your local Council. The following link is a letter with supporting documents to explain those concerns raised by some organizations. We have a dream! Our dream is to see future generations to enjoy the beautiful sensation of releasing sky lanterns while dreaming about their wish. To make this dream becoming true we need your support to stop Councils from banning all sky lanterns. Flying Sky Lanterns are beautiful glows of lights floating in the sky that gives people a sensation of peace, harmony and a unique connection to the spiritual world. My passion for Sky Lanterns started only in 2006 when a friend gave me one for my birthday, says Fabio Paduanelli, (Director at Night Sky Lanterns ®). However, we need your help to make sure that everybody can continue to experience this magical emotion here in UK as well as in other countries around the world. More importantly, the luck of knowledge on this relatively new product and the inconsideration of few individuals are pushing Councils to take an unreasonable decision to ban indiscriminately all sky lanterns. We do not just sell sky lanterns but we are passionate about them. Our passion is reinforced every time we see at our events the smile and joy on people’s faces when they are watching their wishing lantern flying away while thinking about their dream. We will not give-up without a fight but we need your support to win numerous battles before we can all truly enjoy this magical spectacle while safeguarding the environment. About 10 years ago, Sky lanterns started to become very popular in UK, as well as around Europe and USA. They are used at celebrations to add a magical touch to the night of any event like weddings, birthdays, memorials, and fundraising campaigns. Unfortunately for all those people like us who loves sky lanterns, they have been in the spot light for some time now and received some bad press regarding environmental concerns and fire risks. Particularly, when in July 2014 a sky lantern was recorded on a CCTV camera while landing on a pile of plastic in a recycling implant near Birmingham. Even though we cannot emphasise enough on the importance to follow few simple but essential guidelines highlighted on our manual instructions and on our website (www.nightskylanterns.co.uk), we also need you to be aware that sky lanterns are not all made with the same materials and before you buy them please make sure they are 100% biodegradable, wire-free, asbestos-free, non-toxic, free of any damage, made with fire redundant paper and high quality materials. In addition, before releasing your wishing lantern please use your judgement to check that the wind speed is below 5 MPH (8 Kmh) and the wind direction. Make sure that you are a least 20 metres from any building or other obstacles and once the lantern has took off to be vigilant till you see that the light goes off. It is also important to remind, particularly to first time users that no all sky lanterns are the same and like any other product, some are good and others are not as good. Furthermore, due to high competition some sellers are flooding the market with poorly made sky lanterns and customers are not informed about the sky lanterns characteristics and flying performance. Since 2008, we promptly heard those concerns raised by farmers and wildlife organisations regarding the environmental impact of the metal wire used to hold the fuel cell to the bamboo ring after the sky lanterns land back on earth. Therefore, in 2009 we quickly took actions and together with our R&D team we focused on supplying only premium sky lanterns made with fireproof rope to safeguard animas and avoid the inconvenience on the countryside caused by the metal wires. In addition, we substituted the cardboard fuel-cell with an innovative fuel cell made with cotton which is easier to lit and facilitate the preparation to the launch. Besides, once the combustible has burned out the cotton will crumble in the air which avoids that any residual land back on earth while still lit. Conversely, the thickness of the paper has been increased to improve the heat retention and the overall flying performance. However, mistakenly we decided to discontinue the supply of all economy sky lanterns, including those made with metal wire and we removed them from our product list. Even though we always emphasised the importance of the improvements made in the construction of our premium sky lanterns, consumers are still misled by ruthless sellers who are claiming of selling 100% biodegradable sky lanterns but not mentioning that they contain metal wire or detailed information about the quality of the materials used. Furthermore, due to the lack of knowledge on this relative new product, some sellers opted to flood the market with poorly made sky lanterns and people were persuaded to buy cheap sky lanterns unaware of the differences. In 2014, DEFRA and other government organisations conducted a comprehensive investigation concerning the environmental impact of sky lanterns on wildlife, as well as the potential risks of causing fire and damaging people and properties. For us and all other reputable suppliers in the Industry, this uncertainty was a critical point whether to invest and innovate or to step back. We were also hoping for a clear and defined regulation on sky lanterns minimum quality standards of the materials, construction packaging and their origin. Instead on the 14th August 2014, the Trading Standard Institute published the Industry Code of Practice - SKY LANTERNS which only sets guidelines on good practice for all stakeholders which are only voluntary and cannot be imposed on anyone dealing with sky lanterns. To sum up, this Code of Practice explains the founding of the investigation which confirms “that high quality branded sky lanterns have very low environmental impact and if used as intended in appropriate conditions sky lanterns DO NOT constitute a high risk. With little care and consideration they can be enjoyed safely”. Therefore, we strongly believe that an indiscriminate ban on all sky lanterns would be unfair toward responsible sky lanterns users/lovers and reputable suppliers to receive a ban from local Councils. We also believe that it is unreasonable to prohibit future generations from experiencing one of the most amazing, peaceful and sensational emotion of seeing glowing lanterns flying in the sky. To those who are campaigning against sky lanterns, we would like to say that we are not all the same but if we work together and provide accurate information we can achieve a constructive outcome and empower consumers to make a change. Sky lanterns are here to stay as much as fireworks, balloons, cars, lighters, crisps’ bags, dog’s micro-chipping, hunting, take-away containers and coffee cups, glass / plastic bottles, drinks’ cans, phone charges and so on, what is relevant to safeguard the environment and to minimise their impact on wildlife is the way we innovate and improve the standards of these commodities. To those who try to sabotage sky lanterns events remember that it is a criminal offence to intentionally cause a disturbance or fire and to those attempting to demonise our brand reputation, we will do all we can to pursue any transgressor. We need your support to show those campaigning for a ban and Councils who arbitrary banned sky lanterns on their land that if we work together to properly inform people than together we can make a positive change for all to safeguard wildlife and the environment. We also thank the support of farmers who are consistently buying only our premium sky lanterns and they can be reassured that we will never let them down. We perfectly understand farmers’ concerns about the impact of the metal wire on their livestock and we will do all we can to communicate the inconveniences caused by the wires when they get tangles in the machineries while operating on the land. This is not only morally right but it is also an important message that allows innovation to improve products which satisfy our needs, comforts and entertainments while minimizing upheavals and inconveniences to others. Last but not least, we feel obliged to our customers who highlighted us the issue of fakes / counterfeits Night Sky Lanterns and Candle Bags UK branded products sold on Amazon.co.uk and Ebay.co.uk. Because of this, since 2016 we no longer sell our branded products on those websites, we are try to ask them to stop misleading customers but they refuse to take any action. After numerous test purchases of our brands listed on these websites, we found that 99% of all listings are fakes, unbranded products which do not comply with our standards and certainly look inferior quality. Even though we filed a claim for each test purchase as “Item not as described”, both Amazon and Ebay refuse to take any action to stop misleading customers and damaging our reputation. It is obvious that their interests are only focused on profit, no matter whether it comes from genuine sellers or fraudsters. On the other hand, we are losing customers and receiving complaints from our resellers who also used to sell our products on Amazon and they feel let down from us because they cannot compete against the prices offered for fake products. Soon we will explain in details the full story in a separate article, meanwhile if you have purchased any sky lanterns or candle bags which the title or description indicated that they are Night Sky Lanterns or Candle Bags UK brands, please contact us via email with the order details, a brief comment and possibly few photos of the product. Please be aware that they could be contaminated with asbestos. We hope you will purchase them directly from us, but if you intend to purchase sky lanterns and candle bags on Amazon or Ebay and the listing mentions our brand names, once you receive the parcel please check if they are originals or not. If they look different or unbranded, please file a claim as “Item not as described” on the website you have purchased the product and write a comment “I was expecting Night Sky Lanterns (or Candle Bags UK) branded products and instead I received unbranded, anonymous items and most luckily poorly made”. Normally, the seller will give you immediately full refund (No questions asked), so that they can continue to make profits on others customers who genuinely are unaware that they have been misled or cannot be bothered to waste time for £5 / £10 order. These fraudsters and Amazon/Ebay make a profit on illegal sells and get away with it every time someone does not make a complaint. If the seller replies with a template message attempting to discourage you by saying that you have purchased a generic product, made in China, and they are the same or better quality …, than just escalate the issue to the complain team of Amazon or Ebay and they will give you a full refund (No other questions asked). If the seller asks you to return the parcel at your expense even if specified in the T&C or the seller sends you an unrecorded postage label, simply reject their request and escalate the issue as above for a full refund. If you experience a similar situation, please let us know and free of charge we send our courier to collect the evidences from your address and if you decide to purchase our originals, we will offer you the same price as the price shown on the order of the fakes and add a free gift to thank you for your help. We have found that unscrupulous sellers are claiming of selling Night Sky Lanterns ® branded products on Amazon, Ebay and other third party websites and instead they are flooding the market with poorly made fakes which could be hazardous for people and the environment. Be very careful because some sky lanterns of the test purchases made on Amazon and Ebay were found to contain ASBESTOS in form of Chrysotile in the rope which holds the fuel cell. The lab tests results are avalabe in the letter published on the link at the top of this page. We warn everyone to be vigilant on those criminals and if you have purchased any of our branded products from another retailer and you have any doubt or you have received a different brand or totally anonymous packaging, please let us know and will report them to the Trading Standards Authorities for further investigation. We also would like to remind you that, we have suspended the supply of all our products to Amazon and Ebay because of “their unfair trading on their online jungle”. The power is now in your hand! We are a small company with very limited resources and we cannot win it without your help. Please support us however you can and help us to win this battles. Click Here to register now! We need a least 2500 signature and your registration is very important to us. Your name will be entered on the list below while your email address will be only used to confirm your contribution and will be securely held only for verification purposes. We are also appealing to crowd sourcing to help us finding people who are willing to get involved and provide their support to write letters, publishing updates, filing claims and where required escalate to the Court. We also need translators to help us to spread this information not only in UK and USA but also in other European countries and beyond. Anyone interested to host a sky lanterns display at any event or to participate organising future events please follow the link Night Sky Lanterns Fest. For more information and assistance please do not hesitate to contact us. Thank you for supporting our campaign to stop Councils from banning all sky lanterns. 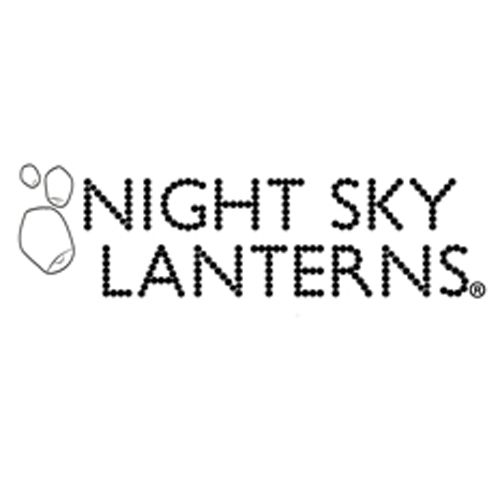 Many Many Thanks to all #SkyLanternsLOVERS for the support and comments received so far. However, we need your help as never before. We are sorry if the list above has not been fully updated. If you cannot see your name amongst the list, we will soon update it. Please check again later. Many Thanks! To amend or delete your name from the list above, please contact us and we will be very happy to assist you. I have been using your products for years because it is bio degradable and we use it to celebrate our loved ones who has passed in our families. I use it in the Cayman Islands where there is less restrictions but I respect the ocean thus why I came to your website. I have also ordered these in the past for Mauritius and England for my other family members, again respecting the rules and regulations. We write letters and notes on these lanterns to send to our loved ones during anniversaries and birthdays and it is important that we keep these traditions as it is important to us. I have used these sky lanterns in a tribute to my little son, they brought me and my family so much comfort. We used them in a safe environment. We have used premium sky lanterns on several occasions. They are very good quality and no metal wires.